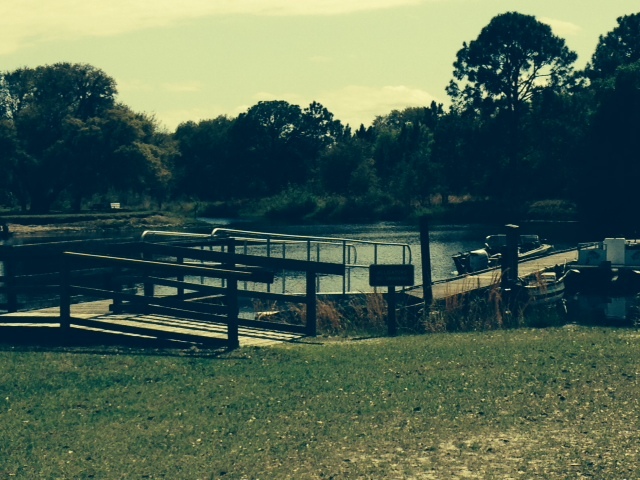 This park has a nice Marina and is located on a canal that runs into Tiger Cove on Lake Kissimmee when you run east. The canal dead ends if you go west out the marina since there is a lock on the canal. 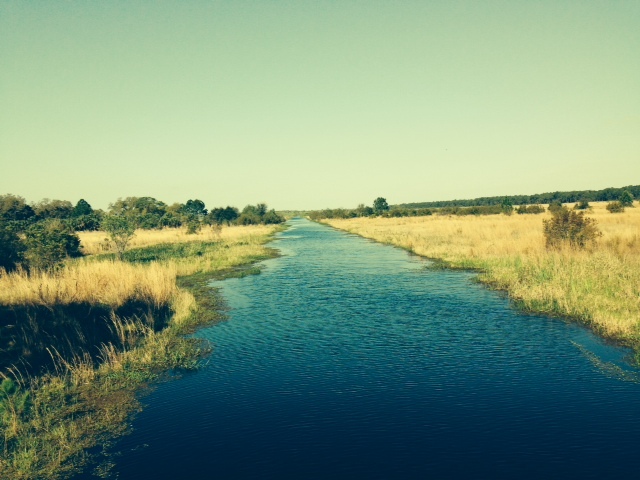 The canal does run to lake Rosalie, but it is not accessible by boat. I fished the canal near the Marina first, and saw a feeding bass bust some minnows, but was unsuccessful in getting him to bite. I was using a fluke, trick worm, and ultra-vibe speed worm. I worked the canal by the lock and bridge, and did get a bite on the trick worm. I missed the fish as he must have spit it before I set up on him. It looked like a real “fishy” area, but I never did get another bite. Here is a picture of the canal area from the bridge going west towards Rosalie. Below is a view of the marina.